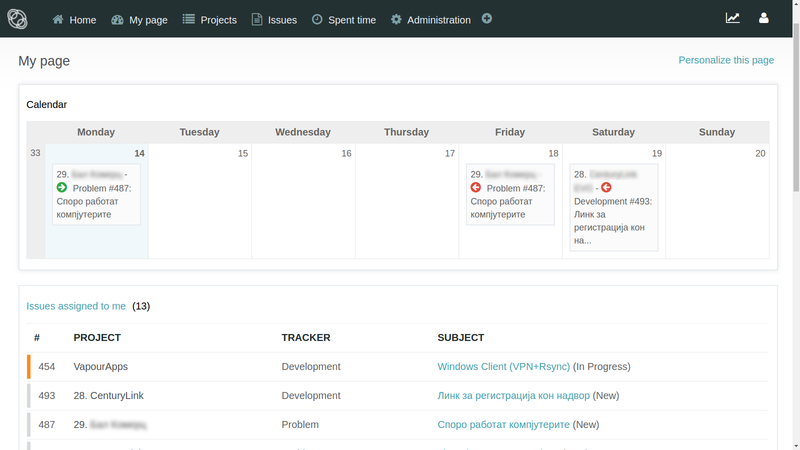 Using custom version of the Redmine open source system, we bring you a very effective task management and issue tracking system. 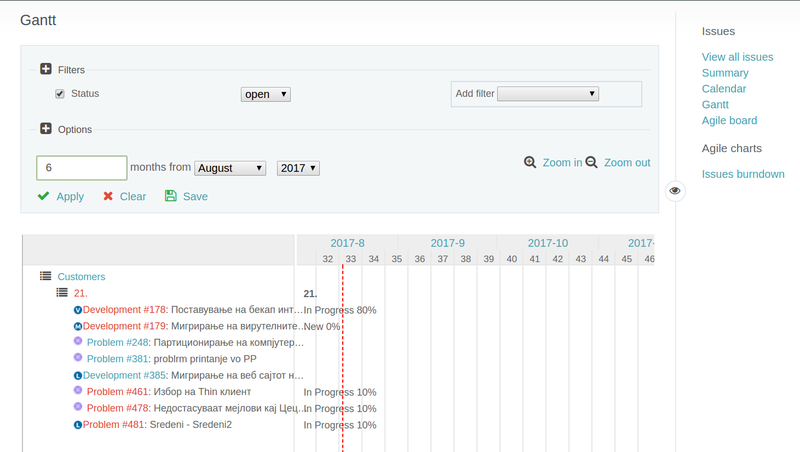 Centralize all project information in one place, so that everybody is clear about tasks, priorities and what has been done. Tickets can be created from a web-dashboard, by sending an e-mail or through API. 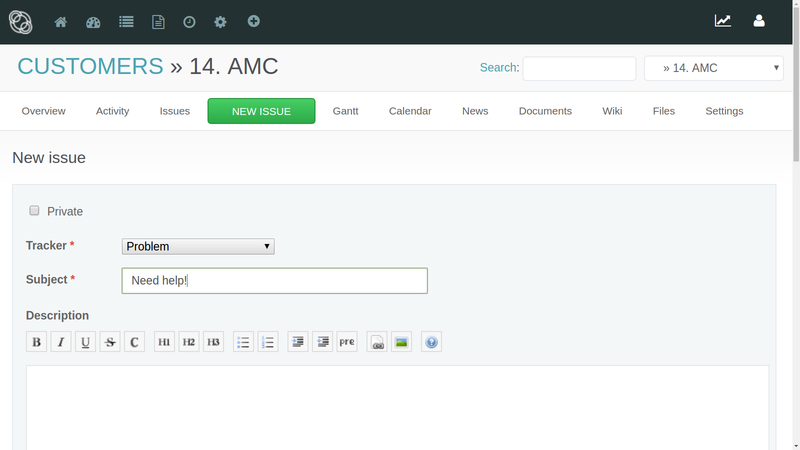 Complete work-flow for tickets, people %done, estimates, custom fields. Updating tickets can be done through web or e-mail, with logging time and costs.